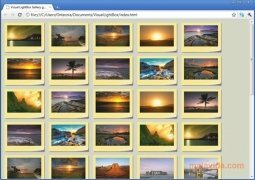 Visual LightBox is an application with which you will be able to display images on your website by means of an appealing gallery based on Lightbox. It is a way to present images on a web so that you will be able to view expanded versions of them without having to open another page. 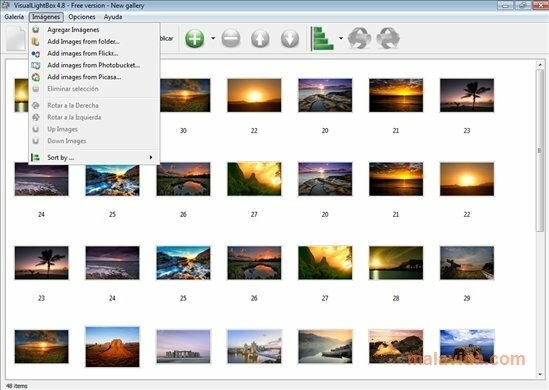 But the best thing about Visual LightBox is that it allows any user to create their own image gallery, without having any programming knowledge. To create a photo gallery, you will only need to follow a set of simple steps: add the images, choose a template, and decide the size at which they will be shown. After that, all you have left to do is publish it. Thus you will be able to see what the gallery looks like on your computer's browser. If you like it, you will have to export it to add it your website. Allows you to rotate the images. Has an internal FTP server. You can add footnotes to the photographs. Allows you to add photos from Flickr, Photobucket and Picasa. 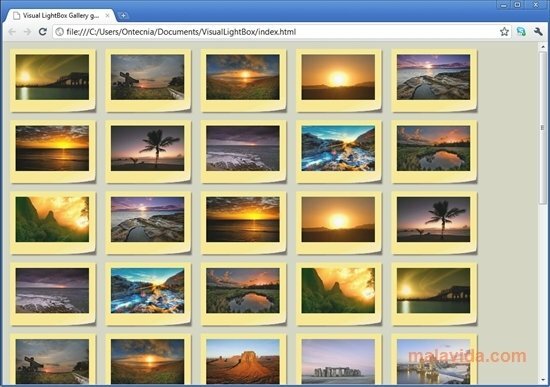 Download Visual LightBox and check how simple it is to create an image gallery for you website.